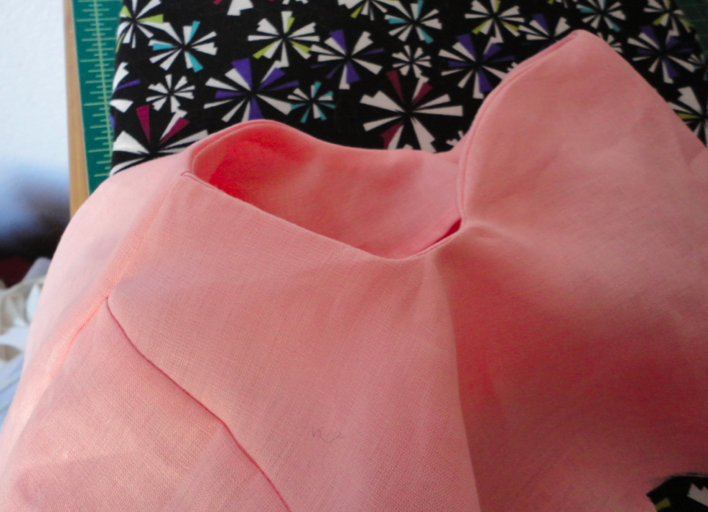 It's time to get started on the final version of the Pastille dress! Have you all perfected your muslins? I wouldn't say that mine is perfect, but it has improved from the last one I showed you. On Sunday I cut out the fabric for the "real" dress and last night I started sewing. I didn't get too far, just to the facings on the arms, but I am pleased with how everything looks so far. Hopefully tonight I will make more progress, as my sister and future brother in law are going to be in town all weekend! How are all of you doing so far? Are you ready for the big reveal next Wednesday? 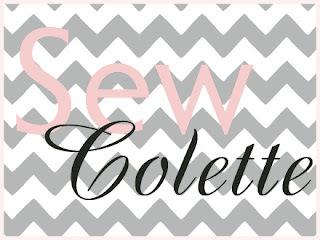 Schedule for sewing the Pastille dress designed by Colette Patterns. February 6th-11th: Fitting techniques and making a croquis. This really looks great! It's a perfect style for you! I am definitely still hopeful to make the Wednesday reveal, but I think that like you, I have become a little over hard on myself about getting the 'perfect fit' when in reality, this is my first custom fitted project and let's face it... perfection is probably a LOOOOOOONG ways away!! HAHAHA!! I am so glad that we are in the same boat! Well, glad that you know what I mean. But just think, with this project we are improving our skills. With this dress alone I have leared so much already! My goodness, fitting is probably the biggest challenge for a new sewer, I think. I have been struggling heaps with mine I have to say, and you're right, it's easy to be too hard on yourself. You can check out my fitting progress on my blog... if you dare, haha. I hope to make the Pastille someday, but it's a bit further down on my queue at the moment- I shall live vicariously through you! And your top looks great!!!! With all the adjustments you made you will be an expert in no time! I just finished mine tonight! I haven't tried it on for final length yet because I couldn't zip myself up, but at my last check, it was looking good. I just need to find some time to take pics this weekend for next weeks' share. Awesome! I'm glad that you aren't a procrastinator like me haha! If he had thumbs he would give it two furry thumbs up! Aww your little furry friend on the sink is sooooo cute! Can't wait to see your final dress! Lebron is my sewing assistant. He thinks it is very important to follow me from room to room. I have been afraid of this dress since before we started, and there's a good reason why! I'm on muslin #3 right now. Fitting is HARD. 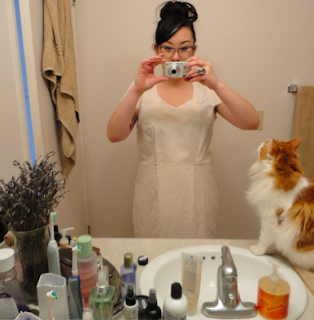 Thank goodness the dress is relatively simple to sew! I'm still hoping to finish up this weekend....fingers crossed! The fitting part is definitely the hardest part, but trial and error means more learning, at least that is how I think of it :) Hopefully, I like how it all turns out because I would like to make another one in a different color. Your fabric looks so lovely! I'm excited to see the final version! !